If you've got a yen to have a go at Glitch, a new browser-based, massively mulitplayer, online social game, you'd better join the queue now. Even though the game won't move into beta release until next week, there are, according to the game's creators, already around 40,000 people waiting for invites. Glitch won't even be officially launched until fall. 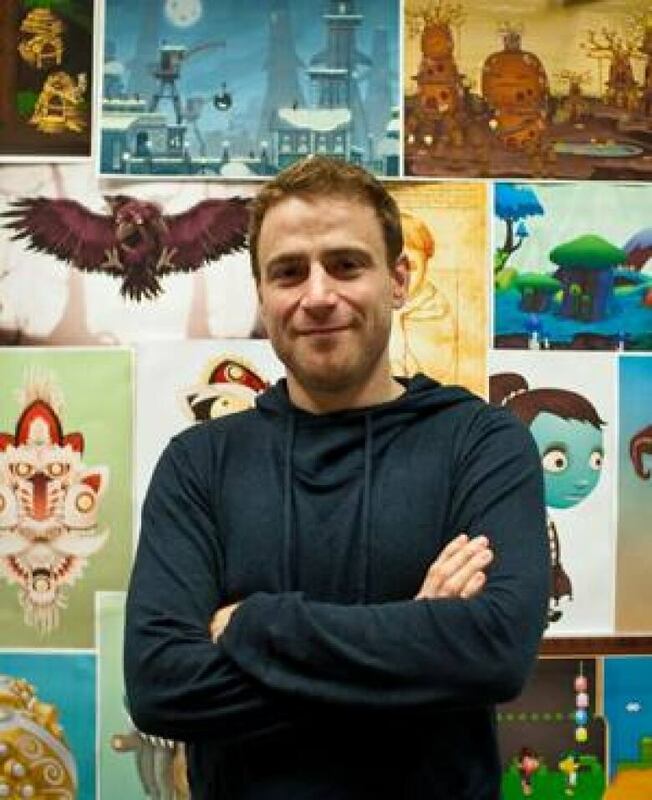 The game is being developed in Vancouver and San Francisco by Tiny Speck, a company started by B.C.-born Stewart Butterfield, a co-founder of Flickr, and three of his friends from the online photo-sharing site. All four left Yahoo! in 2008 after the vesting of the stock options granted to them in Yahoo! 's 2005 acquisition of Flickr. Butterfield is leading the Glitch creative team in Vancouver while the engineering and programming happens at Tiny Speck headquarters in California. The modest space is in Vancouver's trendy Yaletown district. Butterfield has an office, with windows, but the rest of the 10-person creative team face each other from workstations set up on two rows of long library tables pushed together in one main room. Glitch is free to play, but subscriptions and extras — special wardrobe options, for example — will be available to those who want to pay. Butterfield said there's also a plan to create mobile applications for iPhones and Android devices that tie into the world in which the game is set and would generate revenue. Glitch takes place in a world created by the dreaming of 11 giants. That's all we really know about the story at this point. "There's a really thin backstory to the game," said Butterfield in an interview. It's not the least bit reliable, either. The main conflict, Butterfield explained, is how the world came to be. Either it's new or there were previous worlds that were destroyed or 11 separate worlds have fused together. Artifacts that you'll find in the world will provide conflicting evidence about what's really going on. A tree will tell you a story one day, and the next, a pig will tell you the tree was full of it. "Nothing makes sense," said Butterfield. Which is just as well, because the players actually carry much of the responsibility for creating the story, and the world, of Glitch. It's a different kind of user-generated content than the game industry has tried to work with before. 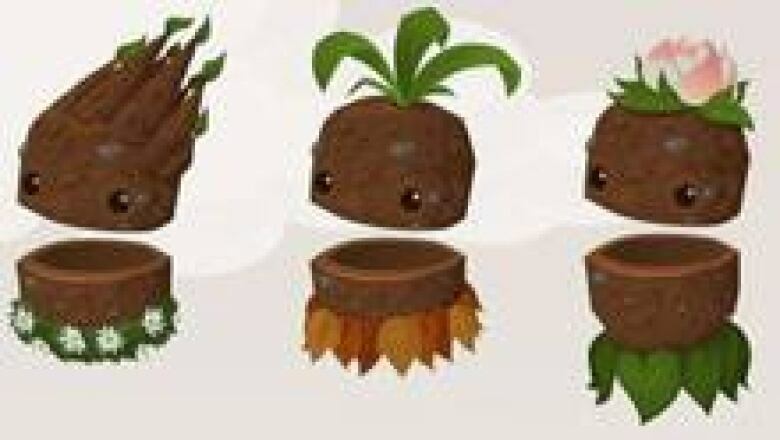 LittleBigPlanet, created for Sony's Playstation 3 console, started a trend by giving gamers the tools to create their own levels, but Butterfield wants to enable people to play with character and story. "I think there are more people who can write and tell a story," he said. In the game, players move two-dimensional characters through the Glitch world. It's a (mostly) non-violent place filled with fantastic things like egg-producing plants, talking trees and pigs that will give players meat but only if the are first petted, then nibbled. Characters can learn and upgrade skills like animal kinship, teleportation and grilling. It's more than just a little surreal, and the whimsical effect is enhanced by the varied art styles used in the game. It's called Glitch, after all. While other massively multiplayer online games, like World of Warcraft, make copies of the world to enable larger numbers of players, Glitch exists as a single world. So, everyone playing the game is playing in the same space at the same time, and your actions affect every other player in real time. Talk about a butterfly effect. The people who are already playing the game in its alpha stage include a group of 40-something women who were looking for a game they could play together; retirees of both genders; and, Butterfield says, plenty of "early 20s nerds." Butterfield likens the game to the films of the Coen brothers. "They don't worry about having to appeal to everyone," he said of the sibling creative team behind such films as Fargo and No Country for Old Men. "They're doing something that they think is really good, and there's a big enough audience that they're successful in doing that. That's what we'd like to be able to do, too." Butterfiled has a way with metaphor. During the interview, he also compares Glitch to a fine restaurant and improvisational jazz. The idea was to create an open, playful space that could evolve forever, he says. While the game designers working for Tiny Speck will guide the actions of the players by creating quests and templates of possibility, it will be the players who decide how the world will change. "If you want people to be able to play this for years, it's not going to be because there was some core game mechanic that they enjoyed doing over and over again," said Butterfield. "It's the experience of the world and their role as a player in that world."